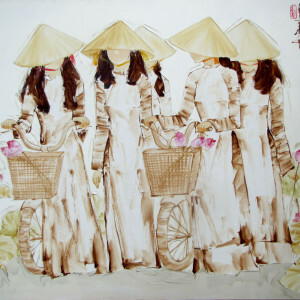 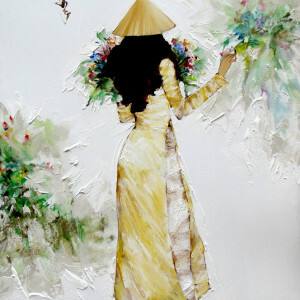 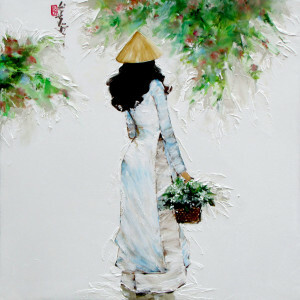 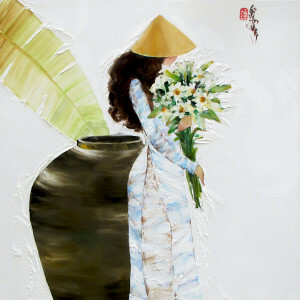 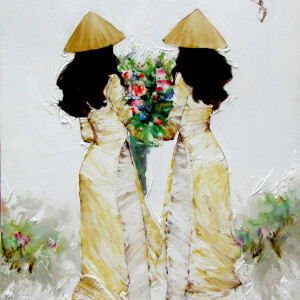 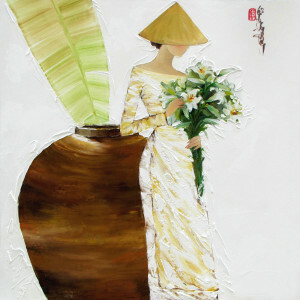 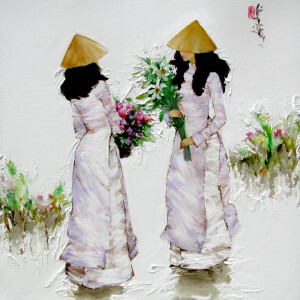 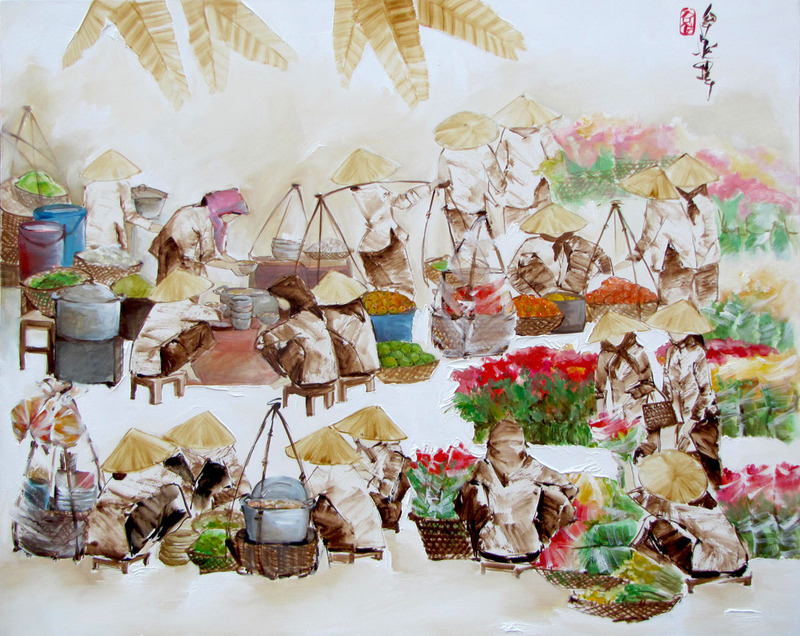 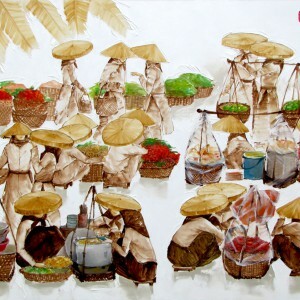 A fine representation of contemporary Asian art, this is a beautiful stylized representation of a rural market in Vietnam. 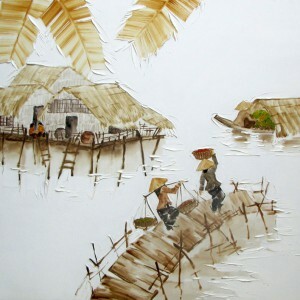 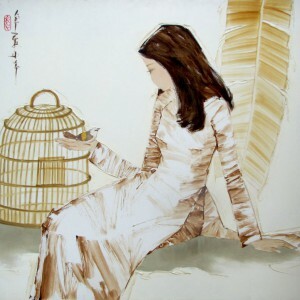 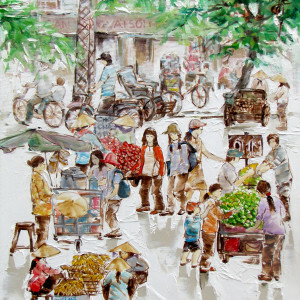 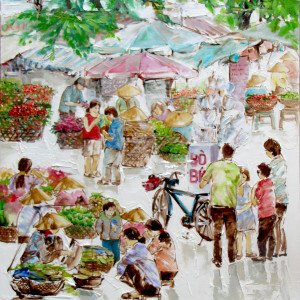 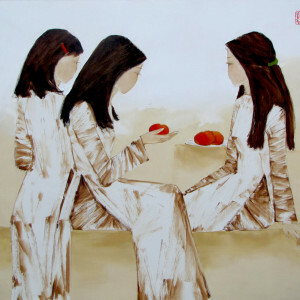 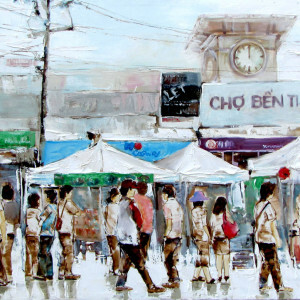 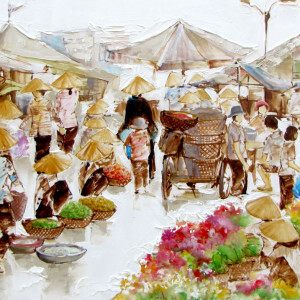 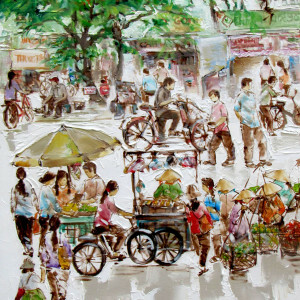 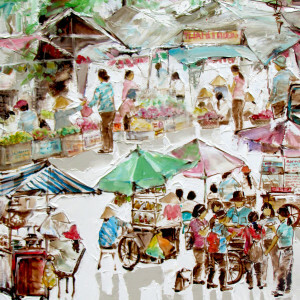 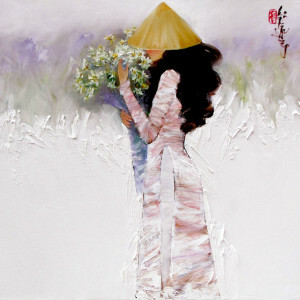 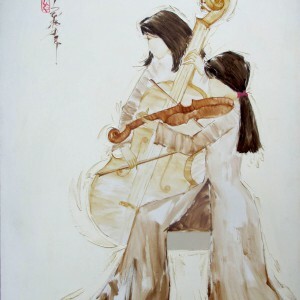 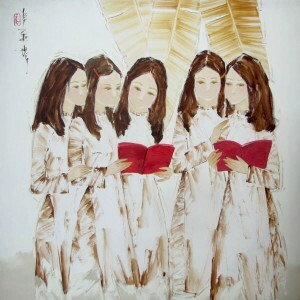 Done in Luong Dung’s characteristic palette, it transports one to the busy rural market buzzing with activity. 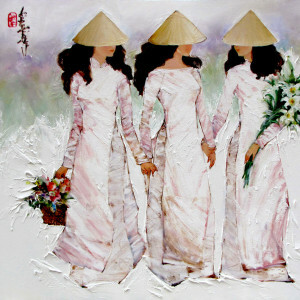 The women in the painting do not have faces. 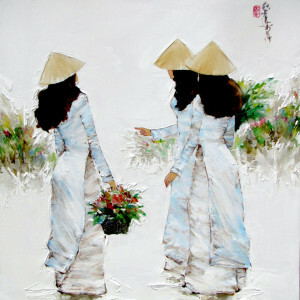 It is as if their individuality is insignificant to the importance of the activity they do collectively.